This weekend was one of the hottest ever in the UK with some areas reaching up to 31degrees! 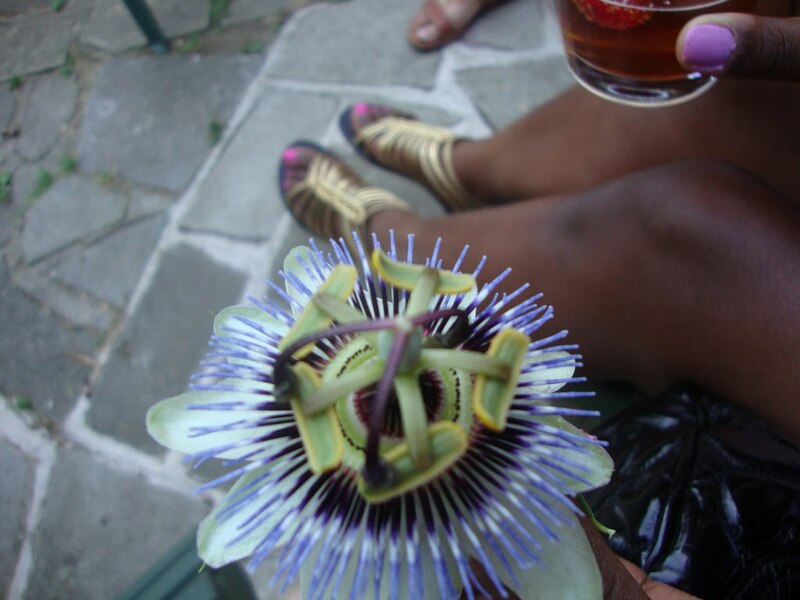 I spent most of the weekend chilling in the garden and enjoying the georgous weather. Lucky for me I go away next weekend on the first of my two holidays so I decided to buy some last minute pieces. 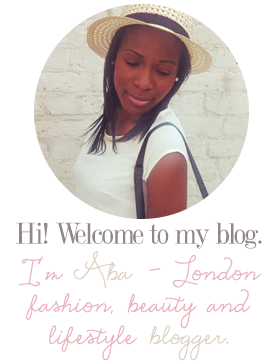 I travelled to Bluewater shopping centre in Kent which has a great range of lots of stores, high street and designer. 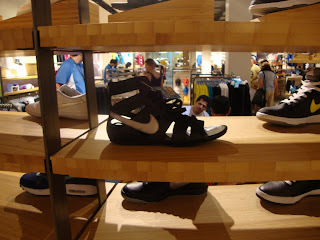 First, I stopped off in Nike where I saw these georgous trainer/sandals by Nike. Nike trainer/sandals - unusual but I like them! Unfortunately for me they didn't have my size *uber sad face* so my journey continued. 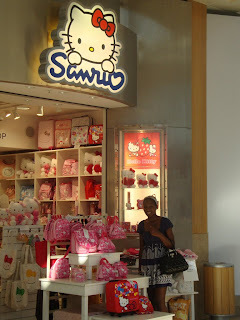 How cute is this Hello Kitty store?!? You might have guessed I love Hello Kitty, can you tell how excited I am?! 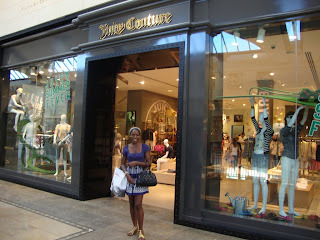 But best of all had to be the new Juicy Couture store at Bluewater. I asked the sales assistant when it opened because I certainly would not have missed this beauty! She told me only yesterday..*uber excited!!! 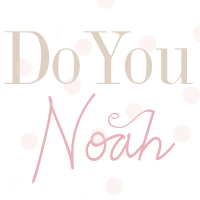 * They have some georgous Spring/Summer stock would highly recommend!